Retirement Communities in Palm Springs and the other desert cities in the surrounding Coachella Valley of Southern California have been popular for decades. Frank Sinatra, Bob Hope, Sonny Bono, and Gerald Ford are among the celebrities who made the area famous. 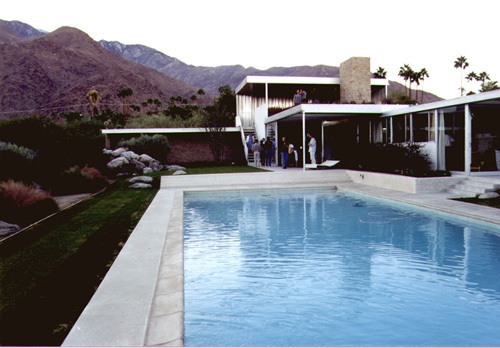 Over the years, the valley has been so popular with movie stars and wealthy Los Angelinos, that the city of Palm Springs was once known as the Playground of the Stars. There are many reasons why this area is so attractive to retirees. Attractive homes in the area can be purchased from less than $150,000 to over a million dollars. In early 2012, the median selling price was about $200,000 in the city of Palm Springs. Home prices are a bit higher in some of the other communities such as La Quinta. Many of the gated communities that dominate the populated areas of the desert cities have their own amenities which may include country clubs, swimming pools, spas, exercise rooms and, in many cases, a golf course. It is not a problem, however, if you move to a community that does not have its own golf course. There are over 100 golf courses in the Valley, and most of them are open to the public. The Coachella Valley cities also offer a number of opportunities for fun and entertainment, including the 125,000 square foot Palm Springs Art Museum, the Desert Museum, a variety of festivals, shopping centers, restaurants, theaters and other entertainment venues. Indian Wells is home to a world famous tennis complex. There is also a large, modern medical system in the Coachella Valley, which brings peace of mind to people who choose to retire there. Here is a list of some of the major retirement communities in the Coachella Valley. If you are seriously considering relocating to this area, you will also want to contact a Realtor to help you compare current listings and find a community in the correct price range to meet your needs. The list below is just intended to give you a general idea of the opportunities that are available to you. Villa Portofino and Heritage Palms were also recently listed by "55 Places" on their website as two of the Top 10 Snowbird Communities in the United States. The weather in the Coachella Valley is most appealing during the winter when daytime highs range from the 70's to the 80's, and nighttime temperatures drop into the 40's. Summers, however, leave residents with no doubt that they are living in a desert. The temperatures can rise to 105 degrees or higher during the day and frequently do not drop below 80 degrees at night. In addition, many Palm Springs residents complain about the wind and dust storms in the summer. Since the Coachella Valley is only about a two hour drive from Los Angeles and the beach towns of Orange County, it is not unusual for some desert residents to rent an apartment near the beach for two or three months during the summer. This is a good compromise for people who love the desert in winter, but don't like the intense summer heat. For example, Laguna Woods Village on the outskirts of Laguna Beach, California is very popular in the summer with desert residents who are fleeing the heat. Short term leases on furnished apartments are available in that community for about $1200 to $1800 a month. If you are looking for more interesting places to retire, use the tabs or pull down menu at the top of this article to find links to hundreds of additional helpful articles. Besides all the full list of amenities you mentioned in Palm Springs, they also have a large art colony. The area is a draw for creative types in various fields. You are absolutely correct about the large art colony in the Palm Springs area. In fact, I always enjoy spending time in the desert. There always seems to be some art festival, gallery show, or other special event going on!